" On August 31, 1928, DIE DREIGROSCHENOPER opened at the Theater am Schiffbauerdamm in Berlin. On September 1, there were riots in the streets. Composer Kurt Weill and dramatist Berthold Brecht had transformed Englishman John Gay's 18th-century THE BEGGAR'S OPERA into a blistering comment on the moral decadence that was then eating away at the fabric of society, not only in Germany but throughout much of Europe. While the socio-political landscape may have shifted, THE THREEPENNY OPERA (as it would become known in English) has remained a cultural juggernaut for seven decades, challenging social values while continually thrilling audiences the world over. The R&H Theatre Library represents six outstanding works by Kurt Weill, and we are proud to salute his masterwork in its 70th year. Accurately billed as a ""play with music,"" THREEPENNY was a continuation of the political theatre movement Brecht had helped establish. Caught up in Germany's post-WWI inflammatory political situation, Weill had already earned a radical reputation and, in the free-spoken librettist, found an artistic and sociological soul mate. The initial production brought the 28 year-old Weill instant international renown and, creating the role of Jenny, established his wife Lotte Lenya as a leading player on Berlin's vigorous theatrical scene. (1998 also marks the centenaries of both Lenya and Brecht.) During the next five years THREEPENNY received over 10,000 performances in 18 languages throughout Central Europe, but its powerful voice was quickly silenced by the Nazis when they came to power in 1933. Declared a work of Kultur-Bolshevists and a menace to the Reich, the musical was banned. Weill's trenchant views and Jewish heritage made it impossible for him to remain in Germany. However, even as Weill and Lenya fled to Paris, THREEPENNY OPERA found its way to New York. An English-language version opened on Broadway in April of 1933. However, the translation was considered awkward and too Germanic in tone, its agitprop sensibilities out of tune amidst the glamorous escapism of Broadway during the Great Depression, and America's first THREEPENNY closed after a disappointing twelve-performance run. Twenty-one years would pass before THE THREEPENNY OPERA received the acclaim in America it had garnered in Europe, but for Weill, the recognition would be posthumous. Marc Blitzstein, a Philadelphian studying composition in Berlin during the 20's, had been deeply inspired by the exciting theatre work of Weill and Brecht, and was a great fan of the original production of THREEPENNY. In 1950, he translated one song from the score, ""Pirate Jenny,"" and sought out the composer's opinion (legend has it that he called Weill and sang it for him over the phone!) Weill was wildly enthused by Blitzstein's interpretation and suggested they collaborate on a new translation of the entire work; less than a month later, however, Weill died of a heart attack at the age of fifty. Blitzstein moved forward with his adaptation as a tribute to the composer (and without changing one note of his music). The New York premiere was scheduled for the spring of 1952, but was suddenly and unceremoniously canceled. (Is it a coincidence that a post-war America was, at this time, playing out its own variation of the political paranoia which had first inspired the work following an earlier war?) Fortuitously, Blitzstein's protg, a young man named Leonard Bernstein, happened to be arranging an arts festival at Brandeis University and offered to include Blitzstein's THREEPENNY; Blitzstein agreed, and in June of '52, his translation premiered in Waltham, Massachusetts, conducted by Maestro Bernstein. Nearly two years later THE THREEPENNY OPERA opened in New York City's Greenwich Village at the Theatre de Lys (now the Lucille Lortell). A sensation, it also established Off-Broadway as a viable, progressive alternative to uptown fare. Once again starring Lenya in the role she had created in Berlin 26 years before, and featuring Beatrice Arthur, Jo Sullivan (Loesser) and Charlotte Rae, this little production became legendary. It was booked for a limited run of twelve weeks, after which the theatre ensconced a previously scheduled production, but interest in THREEPENNY would not die. New York Times critic Brooks Atkinson, who hailed the musical as ""an authentic contemporary masterpiece,"" went so far as to end numerous reviews of other shows with a plea to bring back THREEPENNY. So, in a rare response to genuine public demand, the production reopened the following season, settling in for an astounding six-year run. It firmly established the musical as Weill's greatest success (and ""Mack the Knife"" as his most popular song), and also influenced the style of musicals on socio-political themes, from Joan Littlewood's OH, WHAT A LOVELY WAR! to Kander & Ebb's Brechtian musicals, CABARET and CHICAGO. And though there have been other English-language versions created since, none have improved upon Blitzstein's landmark text. It's easy to understand how, in the twilight years of the Weimar Republic, audiences could empathize with its cynical narrative, mirroring the corruption, anger and desperate gaiety which had become so much a part of their daily lives. But what accounts for THREEPENNY's continued prosperity as it celebrates its 70th anniversary? Clearly it is the unbeatable synergy of its authors' intelligence, conscience and craft - the biting wit and timeless satire of the libretto joined to the music of one of the theatre's most original and unique voices, composer Kurt Weill. THE THREEPENNY OPERA still has something to say about the decline of moral values, within any society at any time. 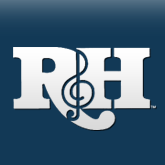 That this message is communicated with daring broad humor, a ribald romantic charm and unflagging musical brilliance has ensured its endurance as a modern classic. THE THREEPENNY OPERA and other musicals by Kurt Weill are available for performance exclusively from The R&H Theatre Library. 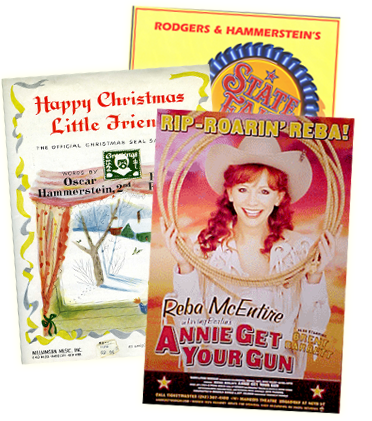 For perusal materials, or our new catalogue of musicals available for production, please call (212) 564-4000, fax (212) 268-1245, e-mail to theatre@rnh.com or write to The R&H Theatre Library at 229 West 28th Street, New York, NY 10001."